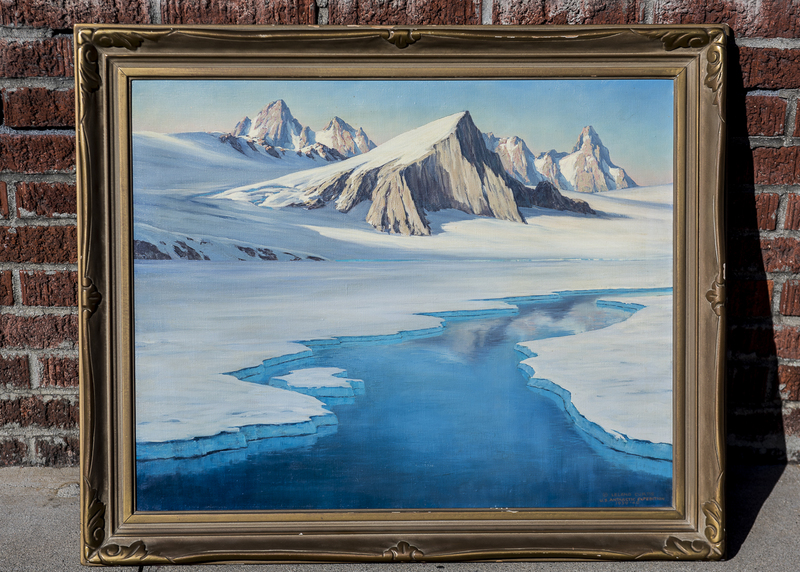 This is one of the expeditionary paintings that Leland Curtis (1897-1989) painted while attached to the 1939 Antarctica Expedition with Admiral Byrd. 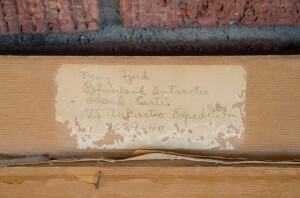 This was Byrd’s third expedition to the pole. 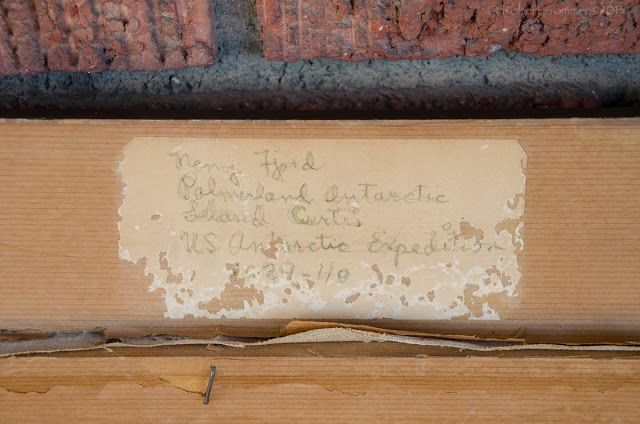 Curtis first traveled to Antarctica in 1937 on another official expedition. The purpose of this new expedition was to follow the orders of Franklin Delano Roosevelt and create two new bases in the southern cap, bases that were eventually evacuated. A California desert and mountain painter best known for his views of Antarctica, he created widely exhibited work including California desert and mountain landscapes. 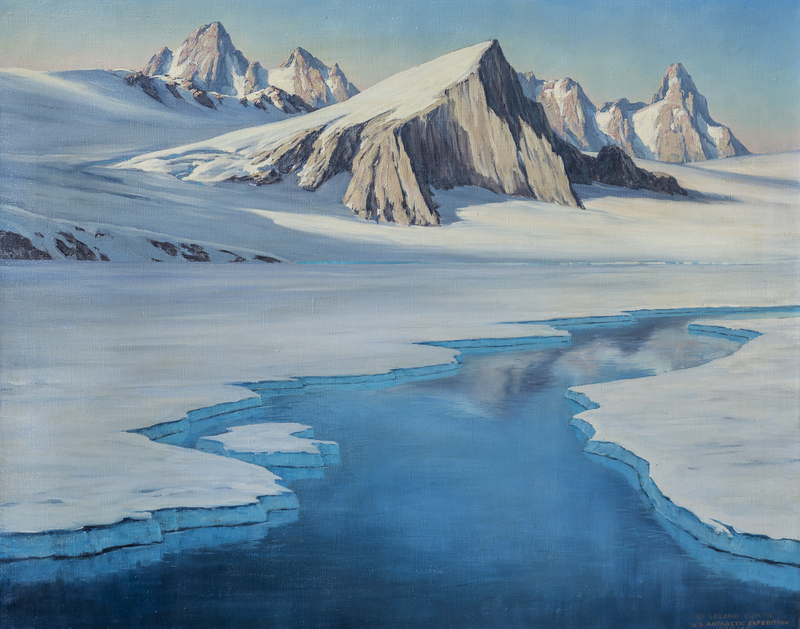 From 1939 to 1940 and in 1957, he was the official artist for the United States Antarctica Expeditions and earned national attention for his views of the South Pole. He also painted in Utah and Monument Valley. He was born in Denver, Colorado, and arrived in Los Angeles in 1914 where he began his art studies in high school. In 1917, he enlisted in the Armed Forces and then became a commercial illustrator. Later in his life he retired to the California desert and in 1972, became a resident of Carson City, Nevada, where he died in 1989.